Late Payout By DraftKings Cost Bettor 670.000 Dollars! 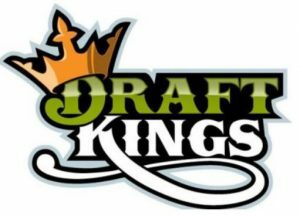 On January 13th, DraftKing’s Sports Betting National Championship came to an end. However, it wasn’t a quiet ending due to a four-minute time gap in between games. According to the rules, a player must have his bets in before the kickoff or else lose the opportunity to wager. Considering this is a Championship Series, mishaps like this one can be quite costly. So without further ado, let’s get down to the nitty-gritty and reveal what happened here. According to reports, Rufus Peabody, a player in the championship lost a chance at $1 Million due to a DraftKings (DK) technicality. Unfortunately, the window for opportunity only allowed DK four minutes to settle Rufus on the Patriots-Chargers game. Well, that game ended at 4:37 PM and the Saints-Eagles game kicked off at 4:41 PM. During that time frame, DK didn’t process the payment in time so Rufus could advance to the next game. According to Peabody, he had his picks set on the Saints, who won 20-14 but had to sit the round out. As a result, he missed his chance at the grand prize, although he did come in at third place and $330k. Which, isn’t bad considering the contest only had a $10k entry fee. After that, Randy Lee would go on to win the $1 Million prize, and the rest would become history. Truthfully, DK wasn’t to blame for the unfortunate mishap last Sunday. In fact, operators, bookies, and players have all expressed frustration toward NFL afternoon schedules. As a solution, DK is now looking for a way to beat the clock, so this problem doesn’t happen again. According to James Chisholm, a DK spokesman, “Like everybody, we also must follow the contest rules. At the same time, we understand the frustration this has caused, and we apologize for the rare experience. Going forward, we’ll learn from this situation and improve the rules so that we won’t have this problem again with future events.” With that said, it looks as if DK is clearly acknowledging the problem and doing something about it. After all, the NFL isn’t going to change how they schedule games. Therefore, bookmakers must find other creative ways to work around the given timeline.